If you have a search button on your site, you probably want to know what people are searching for when they come to your site. This data is incredibly useful for e-commerce websites. This tutorial will help you to know how to set up site search, identify search query parameters and see site search data in Google Analytics. Sign in to your Google Analytics account, click on Admin - >View Settings. In the Query Parameter field, enter the word "s" or "q".Click Save Changes. 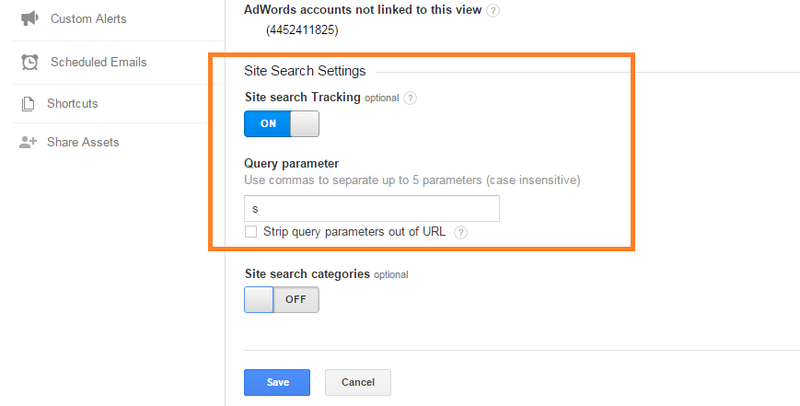 Where to See Site Search Query Data in Google Analytics? Navigate to Behavior - > Site Search - > Overview to find the site search query data. Here is a step by step video that will guide you to configure the site search query parameter in an easier way. Here is the latest video by Google where a Q&A session has been held that answers most of the user queries related to the latest Google mobile ranking algorithm change going live on the 21st of April, 2015. Rankings in Mobile Search Results Set to Change in April 21st - Here is What You Should Do! Google has updated it's mobile search ranking algorithm and site rankings are set to change in April 21st, 2015. Is your site ready to tackle that change? If you still haven't taken measures, it's time for you to do so. Here is a checklist of all the things you should be doing to keep your website safe in mobile search rankings. 2- Check whether the search engine crawlers are able to accurately crawl all the pages of your smartphone optimized site. You can simply submit a mobile sitemap under GWT in the similar way as the regular sitemap. (If your site is responsive then you don't need any extra sitemap). 4- Make sure your robots.txt is working properly. 6- Use HTML5 standard tags to include videos or animations. 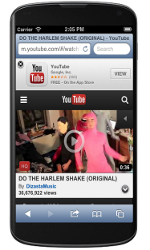 Other formats might not be supported by mobile videos and might cause the below message to get displayed. 7- If any user is visiting a desktop page from a mobile device and you have an equivalent mobile page at a different URL, redirect them to that URL instead of serving a 404 or a soft 404 page. 8- For promoting app downloads, make sure the interstitial is not blocking the user from completing tasks. It is recommended to use HTML banner or image, similar to small advert, that links to the app store where the user can download the app. 9- Make sure your mobile site loads quickly. You can use the Page Speed Insights tool for making your site faster. 10- Check the Mobile Usability Section under the GWT to find out issues that might affect the mobile users from properly accessing your site's content. Make sure to follow all the above guidelines in order to make your website mobile friendly and to keep your site safe from any negative ranking fluctuations. Making your website mobile friendly is important because if your site loses mobile rankings it can drastically impact the organic traffic to your site. Just check the amount of mobile traffic your site is getting and then think if this traffic is affected, your overall website traffic might get down. So, in order to keep your web traffic stable, please follow the above guidelines. We all have talked about links in the past but in future Google is set to consider trust (accuracy) of the content as a major ranking signal instead of site popularity which is solely based on links. A new ranking factor named Knowledge-Based Trust (KBT) score is set to affect all the webpages and they shall be ranked on the basis of high to low KBT scores. (Certain exceptions apply as the actual Google algorithm is based on so many other factors) but most importantly links will lose some of its importance to KBT scores. What is Knowledge-Based Trust (KBT) Score? Judging the quality and accuracy of information is a tremendous task. Traditionally Google evaluated it using exogenous signals such as hyperlinks and browsing history. These signals however weighted popularity of a webpage more instead of it's trustworthiness. Some less popular websites having very accurate information neveer get the same visibility because the main ranking algorithm relies of PR that is measure of popularity. To break the shackles, Google has proposed a way to distinguish errors made in the extraction process from factual errors in the web source by using joint inference in a novel multi-layer probabilistic model. This trustworthiness score is known as "the Knowledge-Based Trust (KBT). What's New In This Model? Under this new model, sites having high PR scores or DA might have low KBT scores because none of the PR algorithm or Moz DA algorithm includes factual correctness of information while computing the webpage scores. Hence, this new model if proved to be correct in the longer run will provide new means to judge the quality of the webpage. KBT is different from all other previous models of source importance computation. PageRank and Authority-hub analysis consider signals from link analysis. EigenTrust and TrustMe consider signals from source behavior in a P2P network. Web topology, TrustRank, and AntiTrust detect web spams. But, KBT considers an important endogenous signal — the correctness of the factual information provided by a web source. What Will Be the Effect of KBT Scores On My Site? Sites that are having high popularity like the QA sites often have inaccurate information in them because those are directly answered by users and are not proofread by any editors. This is opposed to the information provided by Wikipedia which are proofread by editors. Hence, QA/Forum sites although have a score in popularity (means high DA, PR as well as high Alexa) but they might actually have a low KBT score. If your site does not provides accurate data, it might fall in the category of low KBT score and hence lesser rankings. Does High KBT Scores Means High Rankings? The Google ranking algorithm is composed of so many factors and KBT is just one of them. So, there is no guarantee that a high KBT score might guarantee high rankings always. 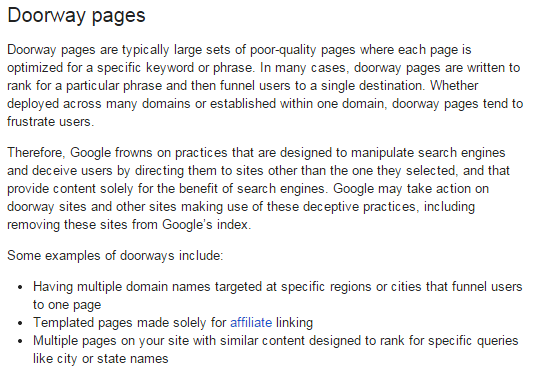 But yes, most of the times if other factors favor your site then you can enjoy higher visibility on Google. Not at all. Links still hold a lot of value because site popularity is still a factor in the ranking algorithm. Links might have lost some of its value but they are not dead. How to Increase KBT Scores? KBT scores is based on trust. Google compares the quality of the information presented on your site with several other pre-compiled resources and checks its accuracy. This means, having accurate information in your site is more important than ever. if the content facts presented on your site matches with those present in n number of high trust score websites then you will have a high KBT score.